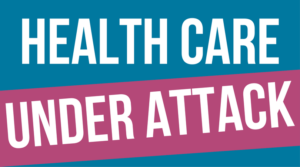 Today the House voted to strip away life-saving health insurance from millions of vulnerable Americans, including women, LGBTQ people and people living with HIV. This disgraceful piece of legislation now goes to the Senate. Call your Senators and ask them to do their part to STOP the AHCA from becoming law.